Defendant's Attorney: Kenneth C. Edelin, Jr.
We review sufficiency of the evidence “in the light most favorable to the prosecution” to determine whether “any rational trier of fact could have found the essential elements of the crime beyond a reasonable doubt.” United States v. Caraballo-Rodriguez, 726 F.3d 418, 424–25 (3d Cir. 2013) (en banc) (quoting Jackson v. Virginia, 443 U.S. 307, 318–19 (1979)). In so doing, we must uphold the jury’s verdict unless it “fall[s] below the threshold of bare rationality.” CaraballoRodriguez, 726 F.3d at 431 (quoting Coleman v. Johnson, 566 U.S. 650, 656 (2012)). “Reversing the jury’s conclusion simply because another inference is possible—or even equally plausible—is inconsistent with the proper inquiry for review of sufficiency of the evidence challenges.” Id. at 432.
left the mosque and entered Saber’s car to finish their conversation. Later that day Saber met with Agent Reed and agreed to participate in the latter’s investigation of Garner. They made a recorded call to him to further discuss the robbery. On another recorded call made February 9, Garner instructed Saber to surveil Apex Bank, and once that was completed, they would meet with a third individual, Ruben Marshall, to draw up a plan. Saber did as Garner instructed and later met with Garner and Marshall to plan the robbery. Saber and Garner had several more recorded phone calls between February 10 and 12 outlining the robbery. On the morning of February 12—the day before the planned robbery—Saber arrived to pick Garner up in his car. Once Garner was inside the car, the FBI approached and arrested Garner and staged an arrest of Saber. The FBI found on Garner’s person 17 small packets of crack cocaine, and in Saber’s car a backpack not present before Garner entered. The backpack contained ski masks, a loaded gun, gloves, two-way radios, and ammunition. To prevail on a conspiracy charge, the Government must prove beyond a reasonable doubt that there was “(1) a unity of purpose between the alleged conspirators[,] (2) an intent to achieve a common goal[,] and (3) an agreement to work together toward that goal.” United States v. Pressler, 256 F.3d 144, 147 (3d Cir. 2001). Each of the elements may be proven “entirely by circumstantial evidence” so long as “the inferences drawn . . . have a logical and convincing connection to the facts established.” United States v. Applewhaite, 195 F.3d 679, 684 (3d Cir. 1999) (quoting United States v. Casper, 956 F.2d 416, 422 (3d Cir. 1992)). Garner argues that there was no “unity of purpose” between himself and Saber, as he was merely “conning” Saber into believing he (Garner) intended to rob Apex Bank. Appellant’s Br. at 28. But this is irrelevant. The charged conspiracy was not between Garner and Saber, but between Garner and Marshall. See Indictment as to James Garner, Doc. #11 at 1, United States v. Garner, No. 2:15-cr-00088-001 (E.D. Pa. Mar. 10, 2015). Indeed, merely conspiring with Saber, a government informant, would not make Garner criminally liable. 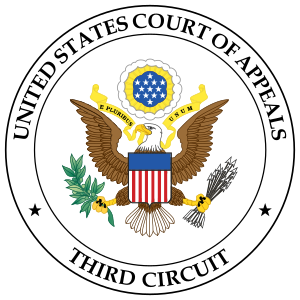 This is the rule in other Circuits, see, e.g., United States v. Corson, 579 F.3d 804, 811 (7th Cir. 2009); United States v. Barboa, 777 F.2d 1420, 1422, 1422 n.1 (10th Cir. 1985) (collecting cases), and we adopt it as well. Nor was the jury required to credit his alternate interpretation of the facts. Garner further contends there could not have been a conspiracy because details about the planned robbery— including both the date on which it would occur and potentially also which bank would be robbed—were not final prior to Garner’s arrest. Appellant’s Br. at 26. But his discussions with Marshall, as well as with Saber, about that robbery all centered on Apex Bank. Garner instructed Saber to surveil Apex, and, when Saber reported back, the three men discussed in detail their plan to rob it. J.A. at 163–177; Supp. App. at 8–17, 29– 30. This was enough to support the conspiracy charge. stops short of “the last act necessary” for the actual commission of the crime. United States v. Hayward, 359 F.3d 631, 644 (3d Cir. 2004) (Fuentes, J., concurring in part and dissenting in part); see also United States v. Yousef, 327 F.3d 56, 134 (2d Cir. 2003). Here Garner engaged in numerous, and substantial, steps toward robbing Apex Bank, including sending Saber to surveil the location and gathering tools for the robbery. (Garner disputes the credibility of the testimony suggesting that he provided the bag of tools seized during his arrest, but the jury was not required to agree.) Sufficient evidence thus backed the attempt charge. Finally, Garner’s sole argument as to the charge under 18 U.S.C. § 924(c) is that he cannot have possessed a firearm in furtherance of a crime of violence if he did not actually commit the underlying crime. But because his challenges to the conspiracy and attempt charges fail, his challenge to the § 924(c) charge fails as well.